One of the older L-series lenses in Canon's current lineup, the 100-400mm has long been a favourite of enthusiast photographers working in the sports and wildlife fields, and it is compatible with Extenders 1.4x II and 2x II for even more reach (albeit with a penalty in maximum aperture and critical image quality). Canon EF 100-400mm f/4.5-5.6L IS II USM Lens. Condition is Used. The glass is immaculate and any spots on the images on the listing are glare! The glass is as new! I’ve shot maybe 300-400 frames with this my aim was to get into wildlife and sport photography but this didn’t come to fruition! Smoke free, pet free home! Comes in original box Not sure if the warranty is still valid! Mint condition, hardly used Tamron 100-400mm Nikon Fit. Used with my Nikon D810 and produces amazing sharp images. You wont be disappointed with this lens! The only visible marks are on the tripod collar where there is a couple of rub marks but the lens itself is spotless. I have a huge passion for gadgets, which is why you will find such great quality electronics for sale here. Ex Display. It has a very small scratch on the lens, you can see it from a specific angle. It doesn't affect picture quality. Full working order, good condition but with a few scratches on the body. Clear filter included. Lens a little bit lose on the tightening ring, but 100% working order. I have been using it with my Sony A73 and it works great, nearly all the focus modes work etc. It's very close to behaving like a native lens. This is a very capable lens and takes fantastic sharp images (in the right hands). EBAND and Fluorine Coatings. 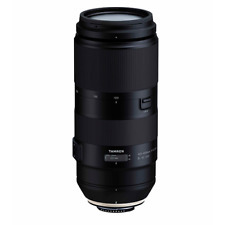 Tamron 100-400mm f/4.5-6.3 Di VC USD Lens for Canon EF (A035E). VC Image Stabilization. Ultrasonic Silent Drive Autofocus Motor. Box Contents. 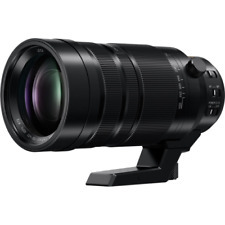 Tamron 100-400mm f4.5-6.3 Di VC USD Nikon Fit. Condition is Used but in excellent unmarked condition. I have had a Hoya UV filter on since new. This is a fast, very versatile, lightweight zoom lens. Although this lens is as good as new I have dropped the asking to encourage a quick sale as I need to buy a different lens for a different job but that is as low as I’m prepared to go. I will dispatch in Sigma lens case. Canon 100-400mm IS L MARK 2 Zoom Lens MINT & BOXED! Condition: Mint condition! Just like new! State: Good working order. Serial: 6620000620. 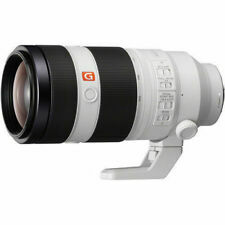 Sony G-Series 100-400mm F/4.5-5.6 GM OSS Lens. Condition is Used. Excellent condition hardly been used. Boxed with carry case, lens hood and lens cap. Air Sphere and Fluorine Lens Coatings. Canon EF 100-400mm f/4.5-5.6L IS II USM Lens. Ring-Type USM AF Motor, Internal Focus. Box Contents Weather-Sealed Design. 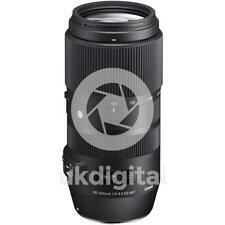 Key Features: Sigma 100-400mm F5-6.3 DG OS HSM Contemporary Lens –Nikon Fit. Designed to minimise flare and ghosting. All new Optical Stabiliser: OS uses a new algorithm for powerful stabilisation. Lens barrel engraved with year of release.